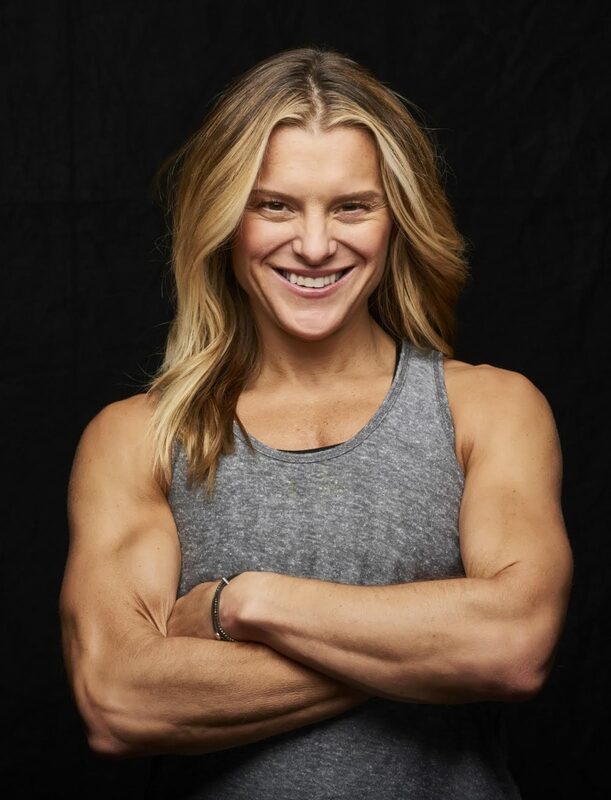 Holly Rilinger is a fitness expert who is changing the game, delivering expertise and tough workouts, wrapped up in motivational shout outs and impromptu dance parties. She is all about taking control of your life without ever taking yourself too seriously. She lives every day with purpose, always looking to inspire change and reach for greatness. Her workouts are crazy tough, but bundled with love, encouragement and laughter. On her brief profile on her website it says ” Picture a childhood bedroom: posters of Michael Jordan, motivational quotes plastering the walls, sneakers and gear piled everywhere, and a young girl lying in bed, tossing a basketball into the air. Picture the chart this girl pinned to her garage wall to keep track of her daily workouts, percentage of shots made, and areas for improvement. Now, picture this young girl as an adult, one who turned hesitations about her 5′ 4″ frame into fuel for making her basketball dreams come true. But this is not a story about dreams – it is one about reality. This is the story of Holly Rilinger “. Holly came to be named the #1 Freshman Pointguard by USA TODAY, the All-Time Leading Scorer at James Madison University, and a Strength and Conditioning All American. After all, her talents on the court were undeniable. However, things took a turn when reporters and coaches wary of her height aired their doubts about whether she could “wow” in the pros. After being turned down consistently by US agents, Rilinger discovered a New Zealand coach who had watched her game tape and wanted to give her a try. Rilinger drove his team to the National Championship that year. Finally attracting the attention she deserved from agents, Holly was quickly signed for her first pro gig in Germany, and subsequently for a cameo appearance on the WNBA team Phoenix Mercury.